Are you strong enough for win-win? Negotiation is one of the key arts in real estate, so how can we become better deal-makers? I reckon successful negotiation begins with empathy – the ability to get out of your own head, and put yourself in your counter-party’s shoes for a while. Let go of the frameworks you use for seeing the world, let go of how you think things are or how they should be, and just see it through their eyes. That doesn’t mean you’ve got to agree with the way they see things, or how they want things to be. It just means you have a better understanding of where they’re coming from. Once you have that, it’s easier to see how what they want and what you want might fit together. Because remember we should always be aiming for win-win outcomes. 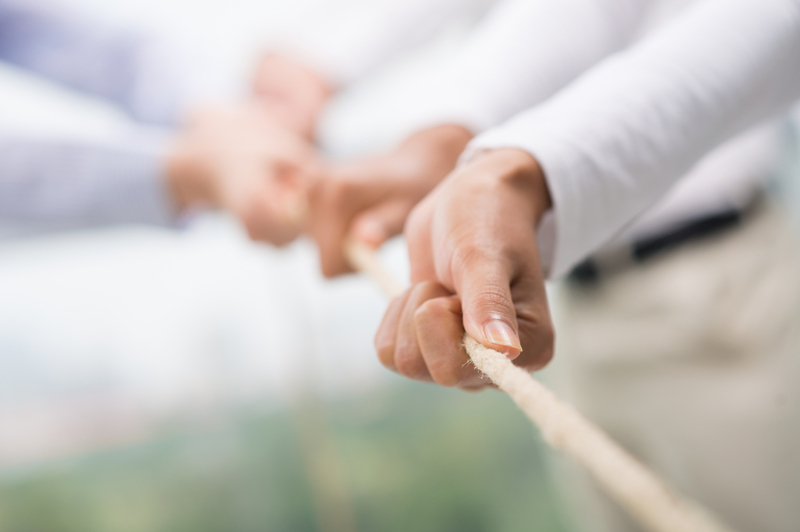 We often think of negotiations – especially between buyers and sellers – as a battle. It’s us vs. them. And I know a lot of people out there like to play hard ball – take a sort of gladiatorial spirit to the table. But frankly, I think it’s all a bit childish. If you get a sense of self-worth out of defeating others in combat, take up tennis. Because it doesn’t matter if we get a better deal than the other party. It only matters if we get a good deal for ourselves. The desire to ‘beat’ others in a negotiation can blind us to outcomes that are good for everyone. And if the person you’re dealing with gets a sense that you’re trying to find an outcome that’s a win for them as well, they’ll more likely lay down arms and join you in a spirit of cooperation. And if it’s one thing I learnt from Sesame St., it’s that cooperation can achieve amazing things. This is also why it’s always worth finding out as much as you can about a seller’s situation. Are they an investor just looking to take profit and move on to something else? Is the bank calling in loans and they need sell quickly. Do they just need to free up a small portion of the capital to invest in the family business? Are they going to be up for longer settlement times? The more we know, the more freedom we have to get creative and find situations that are going be better for everyone involved. Some people are a bit instinctively resistant to this idea. They think it’s a bit wishy-washy – like playing a pacifist rabbit in a forest full of wolves. They think it means you’re going to get screwed over by the first ruthless negotiator you come across. But this is not where negotiation strength lies. It’s not in our power over others. It’s in our ability to know where our boundaries are – what we’re willing and not willing to accept – and steadfastly holding the line. This is real strength. And in the hustle and bustle of negotiation, it’s a strength that will be tested. Partly that strength comes from planning. If you plan your negotiations, think through the contingencies (if they say this, I’ll counter with this etc.) then you’ll be in a stronger position. But the key secret source of strength is not being afraid of conflict. Seeking win-win does NOT mean avoiding conflict. Even if both parties are proactively win-win, there can still be conflict on the best way to do things. That’s ok. And if you’ve got a strong vision for a win-win outcome you’d like to see, you need to be able to go into bat for it. But if your main objective in a negotiation is to avoid conflict, then you’re much more likely to get railroaded into an outcome that isn’t what you really want. Whatever it takes, avoid conflict. It’s a bad glitch to have in life and a very bad glitch to take into negotiations. And the truth of it is that most people I know are more likely to have a problem with conflict avoidance and selling themselves out rather than being selfish and bossy. We’re taught that it’s a terrible sin to be selfish and a virtue to be self-sacrificing. Anyway, the ability to stand up for yourself, and peacefully, calming hold your ground in conflict should never be confused with the sin of selfishness. The real unsung virtues here are cooperation and seeking win-win. All it takes is strength. … and maybe a little practice.